These are the best of times to be a kid, thanks to all the cool tech toys available in the market. The current generation of kids; the Generation Alpha, is the most technologically advanced generation up till now. Children these days are most fortunate for having the blessings of technology. They have access to cool tech toys that were a part of science fiction in our childhood. Information, knowledge, and fun are all packed together for the youngsters of today due to the advancements in tech. Entertainment and toys are not the same as they were for previous generations. Teenagers these days have access to the cool tech toys and gadgets the world has to offer. We decided to make a list of the best cool tech toys that are available for people who are looking to buy a present for their children. Also, we hope that you will find this list amusing and useful. This robot is indeed one of the top ten toys for kids aged eight years and above. It is one of those coolest gadgets that even you will want to play with. 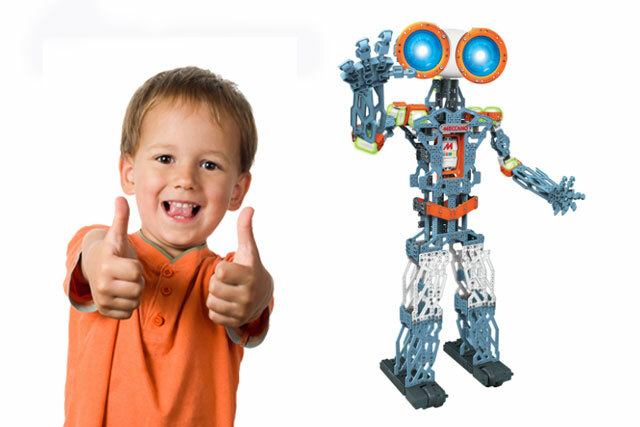 It is a 4 feet tall robot that your kid must build on his own. There are altogether 1200 parts of this robot including a brain, LED eyes and eight motors. You can teach this robot tricks by manipulating or using your Android or iOS devices. Moreover, the best part of these cool products is that you can build them into any shape you want. The meccanoid also have mimicking function and various voice commands which makes it fun to use. However, assembling a meccanoid can take some time, but in the end, it is worth it. You can get this fantastic robot from Amazon toys for boys category in $120. Drones are one of the cool inventions of the 21st century. Drones are one of those tech gadgets that have been very popular among kids of all ages from the last few years. However, handling a drone is a challenging job, and as drones are quite fragile; therefore, they need proper handling. Aura Drone controller is a very useful tech gear, which enables you to fly your Drone easily. It is suitable for kids aged between 6-8 years and older. Aura has developed a simple drone that is easy to use especially by kids. Drones are usually well suited for older kids. It comes with different features such as cameras and controllers due to which age requirements are essential. This is because of the technical nature that may be involved while assembling and flying a drone. Unlike the highly specialized drones which are available specifically for companies and hobbyists, whereas you can purchase the simple ones can for as low as $50. Cozmosare awkwardly adorable cool tech toys. A cozmo is a small child-friendly robot. It works with iOS or Android device connected with the internet. There are some simple formal games created with it. It recognized faces and can develop into it. It can adapt to new surroundings, emotions and even mannerisms. Cozmo is just like a real form of Wall E, and like him, cozmo loves to explore and makes your kid involved with him. The cool tech toys play an important role in helping kids to learn and understand the new technology, which will help in making them smarter. Also, you can easily get it from Amazon gadgets for $130. Virtual Reality has become the ‘new thing’ in technology. 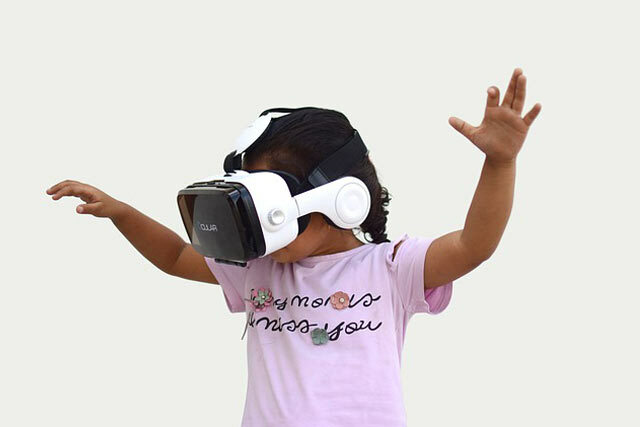 The virtual reality Headset is a well-known tech toy, and one of the cool tech toys that are available in the markets these days. However, with the advancement in technology parents are becoming more concerned about whether these devices are suitable for the kids or not. With these concerns, the toy companies are coming up with ideas on how to improve the quality of kid’s cool tech toys. A significant development that has taken the manufacturing of game to the next level is the development of virtual reality headsets. However, these are devices that simulate environments to allow users to feel and experience a 1st person’s panorama. Depending on your preferences it comes with different features. Mattel has created virtual reality headsets that come with reels that are specifically for kids. The reels are available on a wide range of topics from space to wildlife. They designed this game to develop knowledge about electricity in your kids. This is a puzzle game in which the kids learn about circuits and how they work. It is a sturdy game that has 60 challenges of different difficulty levels. Kids will have to move the puzzle pieces and place them in specific patterns for the bulb to light and also the circuit to complete. This game is excellent if you want to develop problem-solving skills in your children. Moreover, the best part is that in this era of technology this game is an alternative for electronic gadgets because this puzzle game requires physical assembling. Therefore, these cool tech toys are a good alternative if you want to reduce the screen time of your kids. It is suitable for kids aged between 6-8 years. You can get this amazing game in just $30 from Amazon gadgets. 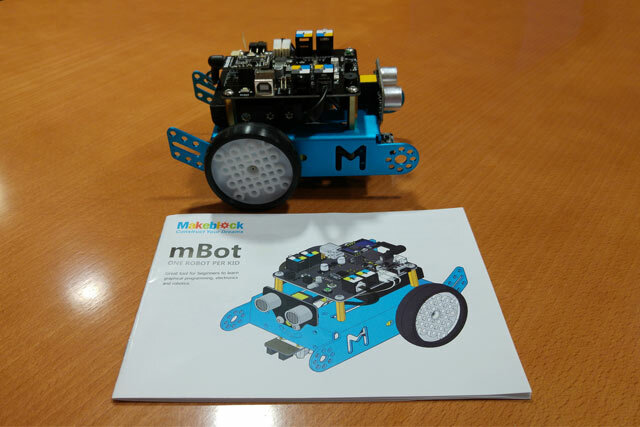 The Makeblock mBot smart robot kit is one of the best educational toys available in the market. It helps in developing STEM skills in your kids. The robot kit consists of different modules that need to fit together with the help of a screwdriver that comes with it. This robot is easy and fun to make and requires no soldering. 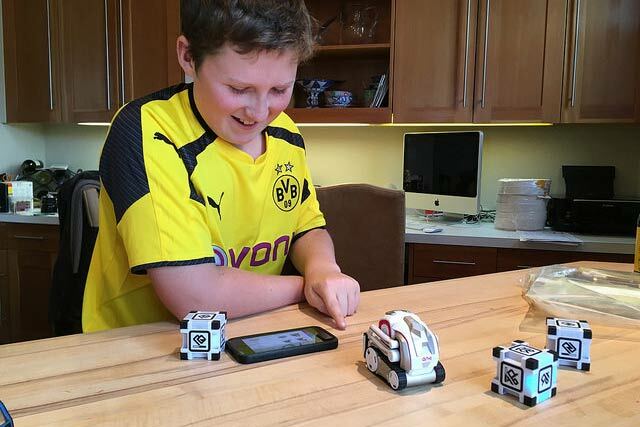 Your child can learn a lot about robotics by playing with mBot. It requires minimum coding which makes it suitable for children. However, you can add new functions to the robot by downloading additional programs. The best part of mBot is that it is even compatible with LEGO, which makes it more fun to use. The kano is computer kit is one of those cool devices that are not only fun to use but also helps in educating your kids. 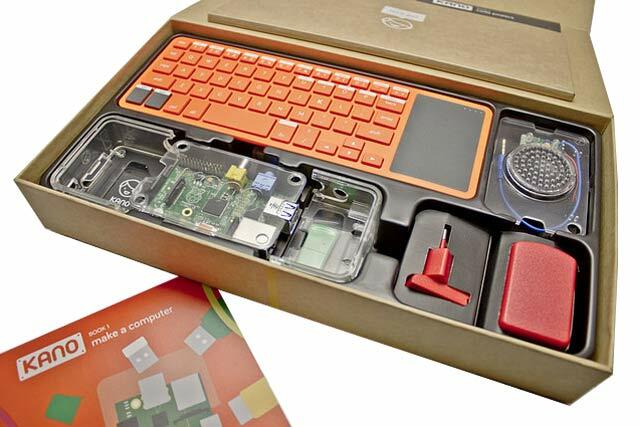 Kano designed these computer kits especially for kids who love computers. Also, with Kano computer kits your kid gets to build his own dream computer that works. Hence, The kit comes with a fully guided booklet that teaches your kids how to develop their unique personal computer with the help of pictures and simple sentences. The Kano computer is based on Raspberry Pi 3 and supports many games like Minecraft etc. This robot is one of those cool tech toys that are well suited for kids aged five years or older. 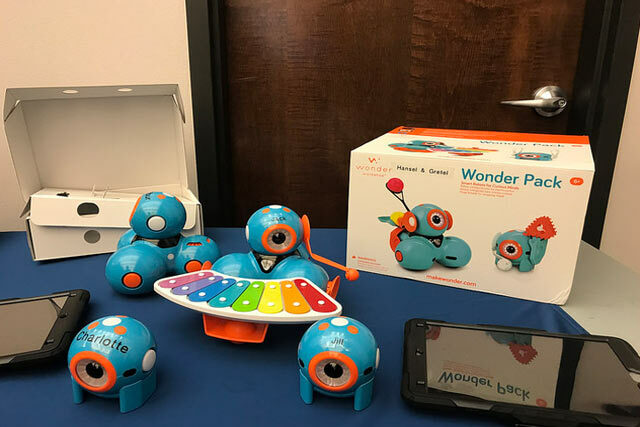 Wonder Workshop has created this Wee robot specifically to aid the kids aged five years or older to learn coding that will help in developing their STEM skills as well. The Wee robot has its own personality and works when you connect it to an Android or an iOS device, from which it takes its commands. It uses dash and dot to teach kids about coding, and once kids have learned the functions they can play as they like or being a parent, you can program specific routines into it that can help your kids in learning. You can purchase it for just $274. This is undoubtedly a fantastic toy for kids aged between 3-5 years. Dino is a talking robot that can tell stories, crack jokes, play games, answer questions, and sing songs as well. It is simple to use, and your kid just needs to push the button on his belly and then ask him anything you want from the name of the president to the spelling of any words. Dino will tell you all and that too in Yoda’s voice. Moreover, you can also put filters in Dino that enables it to monitor your child’s activities, and it can even tell your kids to stop using swear words if they are using it. Dino is one of those cool tech toys that your children will fall in love with. Also, You can get this cute toy from Amazon toys for girls category in just $100. In 1967, theBack to the future series gave the idea of hoverboards. Many companies made attempts to produce a perfect hoverboard like Marty’s. The Mini-Pro is not just any hoverboard, it is your personal transporter, and it is safe to ride as well. 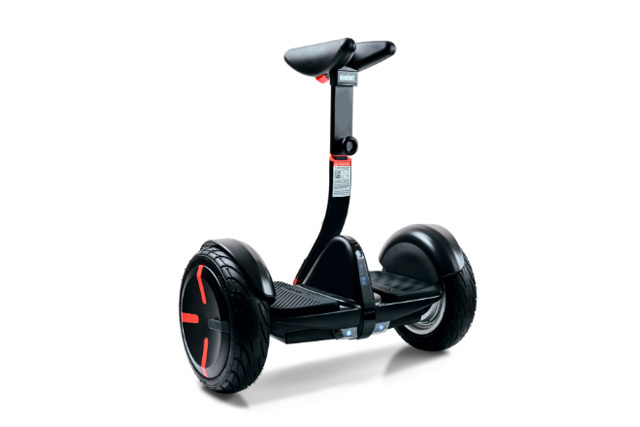 When you are choosing one of the cool tech toys for your kids, remember the mini-pro segway. It is fun to ride, and when your kids are riding it, you can be sure that they are in safe hands. NineBot technology powers it and you can control it through the NineBot app. The mini-pro is a masterpiece of latest technology and ergonomics. Also, the NineBot app also has an anti-theft feature that enables you to look the mini pro whenever it is not in use. However, in the case of theft, you can always track it back. Caring for the wellbeing of kids is the top most priority of every parent. 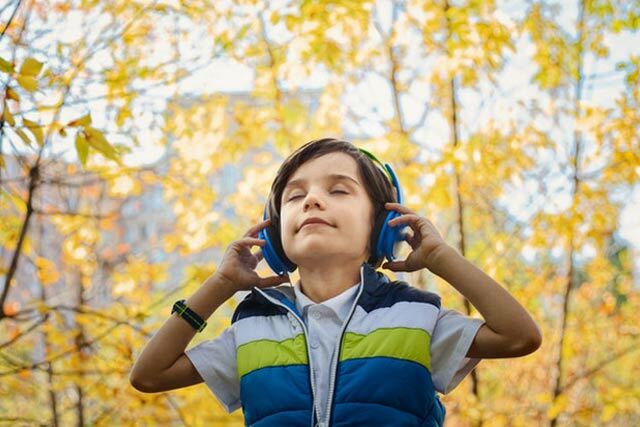 This is where Kids gear headphones come in; these headphones come with a volume limit setting gear. Also, this feature makes it one of the cool tech toys of our list. Paper planes have been the oldest known toys for kids that they used to make themselves. However, in this age of technology, Powerup toys have taken traditional paper planes to the next level. The Powerup 3.0 Smartphone Controlled Paper Airplane kit is one of those cool tech toys that enables you to fly a paper plane and control it using your smartphone. It is a friendly wooden robot designed to meet the skill development requirements of kids aged between 3-5 years. Cubetto is among the cool tech toys available for Montessori going kids. Cubetto teaches your kids the basics of programming and coding without speaking and doesn’t have any display. Instead, it comes with a wooden board that you can operate by placing the colored blocks. There is a storybook and a map to guide your kids on how to work the Cubetto. Besides that when kids put colored blocks on the wooden board in specific patterns, the Cubetto moves. This helps your kids to learn and crack the programming of Cubetto. A reason that makes it one of the best educational toys for small children. With the advancement in technology, the conventional perception that adults do not play with toys is changing. Also, toy companies are creating such cool and innovative gadgets that adults find it difficult to stay away from them. There are so many cool tech toys readily available in markets and online stores as well from where people can buy them easily. Hence, if you want to buy these cool tech toys and gadgets for your kids, consider the above-mentioned toys. Hence these toys are not only fun to play with, but they will help in developing your kid’s STEM techniques and make with familiar with coding also.